Halloween Treats is rated 5.0 out of 5 by 2. Rated 5 out of 5 by Mikey0308 from Everything for Halloween that kids love!!! I purchased this the day before Halloween, 2 of them actually...one for my Godson and one for his brother..they were delivered the next day with no problems and the kids loved them, fast excellent service...Thanks so much! Rated 5 out of 5 by macycano51 from It was Perfect! I bought a Halloween basket and a care package to send to my son at school, i had it ready to send on Saturday the 31st of October, I found out from my son the Thursday before that the school does not receive mail on Saturdays, so i called customer service that morning to find out if i could change the shipping date for Friday, which was the very next day, with ordering online i was a little scared not knowing if they would answer the phone, well let me tell you, how wonderful the customer service was, she called shipping and came back to me saying she had to leave them a message and she didnt want me to wait on the phone, i had a call back within 5 minutes to say they were able to go ahead and do next day delivery, so my son ended up with his baskets on Friday. I was so happy that he had it before his birthday which is today Sunday Nov. 1st instead of receiving after on Monday. Thank you for great service. 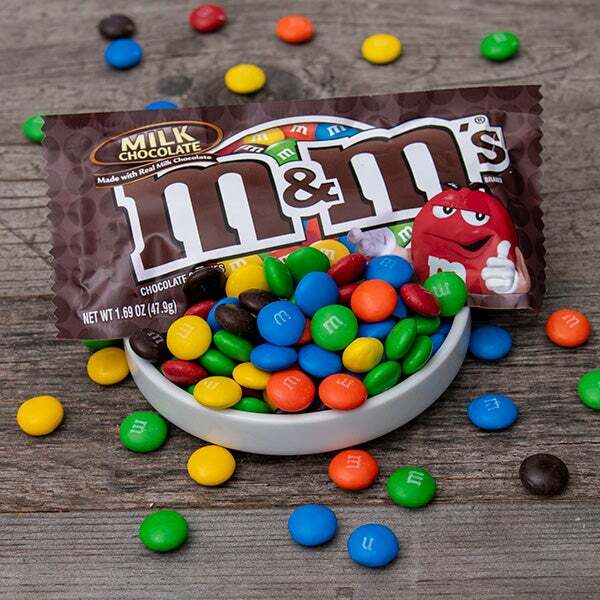 I will only order from you ever!! Thank you, one happy momma! This reusable tin is not only super festive for Halloween, but it's full of treats everyone loves! 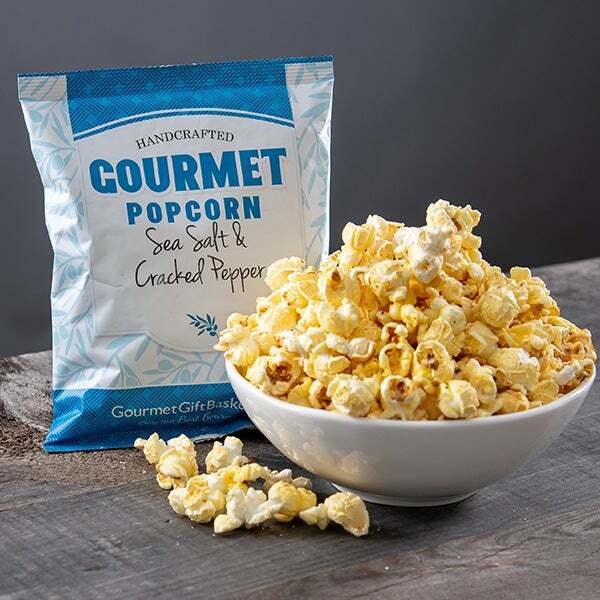 There are two flavors of gourmet popcorn - delicious Sea Salt & Cracked Pepper Kettle Corn, and flavorful Cheesy Cheddar - and all your Halloween candy and snack favorites like Mike & Ike's, M&M’s, candy corn, and much more. 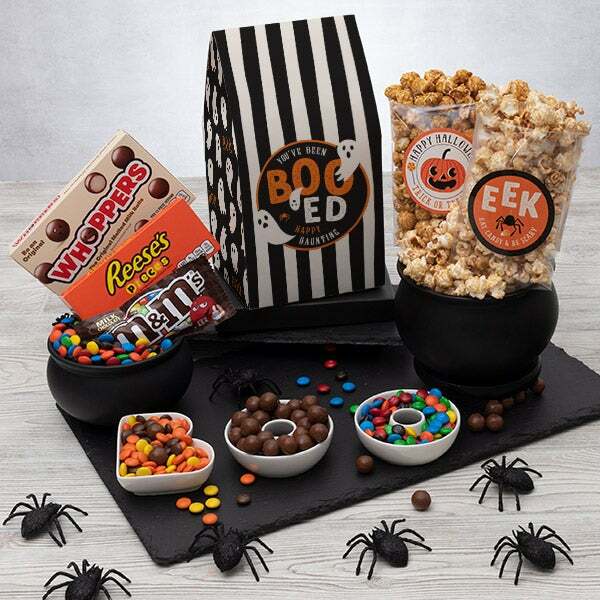 Send this Halloween treats tin to your favorite little monster this year! 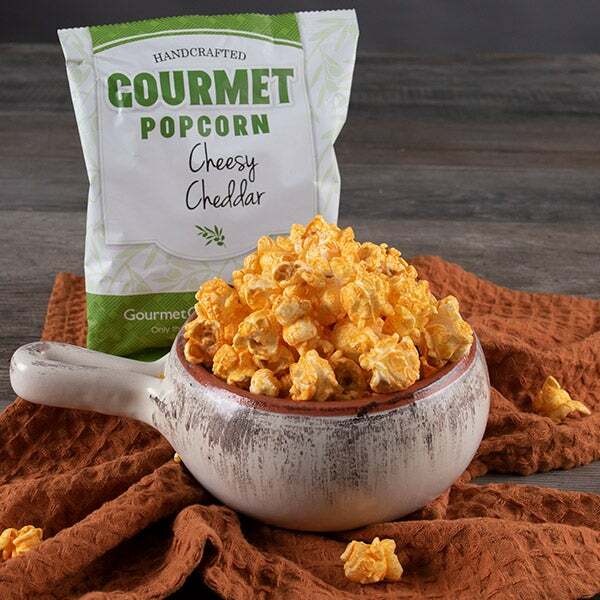 Cheesy Cheddar Popcorn - 1.8 oz. 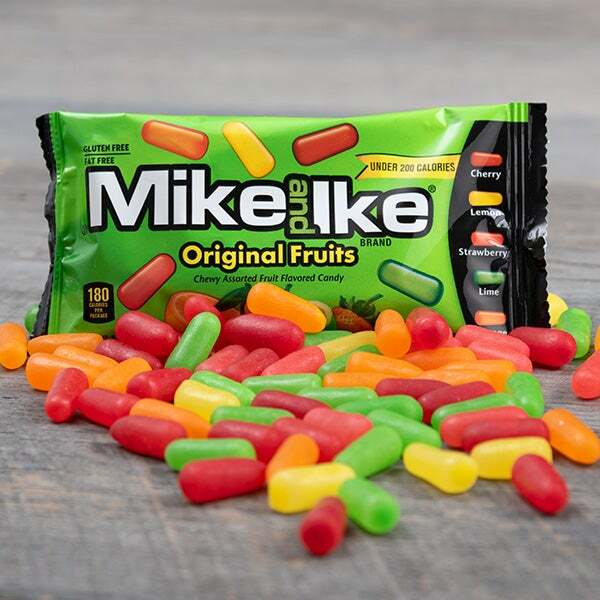 Mike & Ike Original Fruits by Just Born - 1.8 oz. Candy Corn - 6 oz. 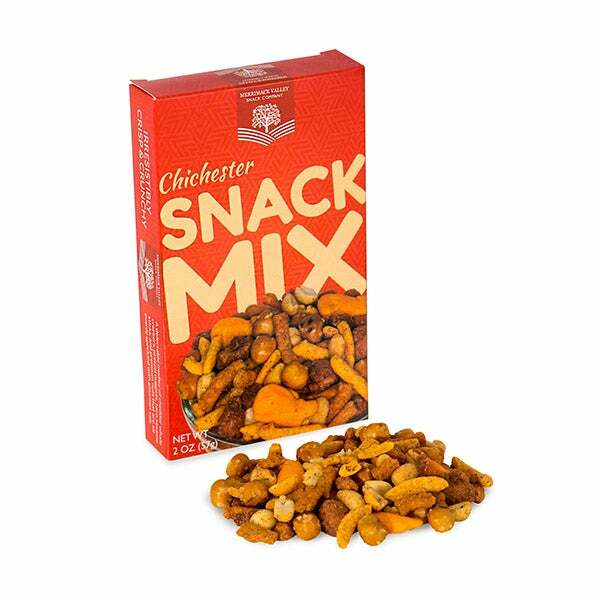 Chichester Snack Mix by Merrimack Valley Snack Company- 2 oz.